September 2014 - New Shipmates added in August and September 2014 - Hazzard, Mark 84 - 89; Rynerson, Roderic R dates unknown; Burke, Thomas 82 - 85; Walters; Jeffrey 77 - 80. See Crew List for details. 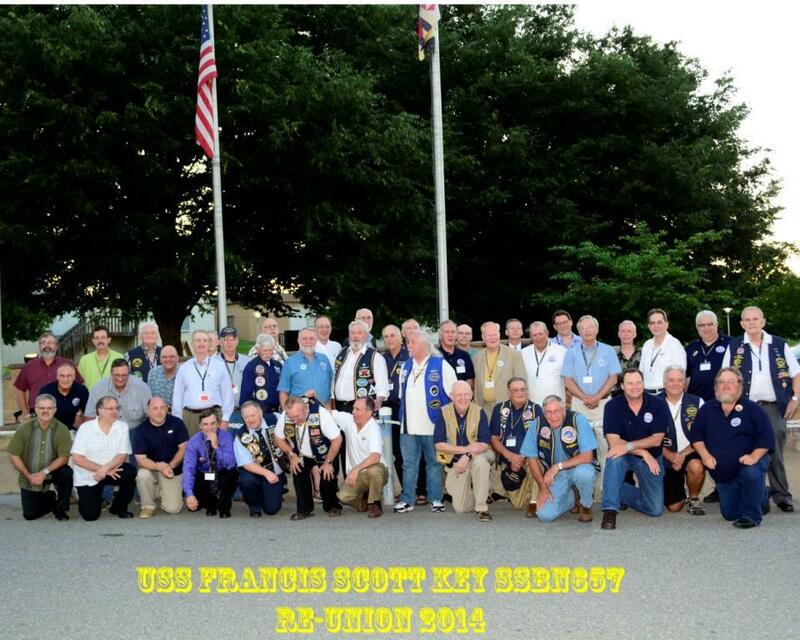 September 3, 2014 - The review of the 2014 Key Reunion in Frederick, MD is now available. Just click Reunion 2014. September 3, 2014 - Received notice of the passing of plankowner Joseph Varese from his daughter Angie Grams. 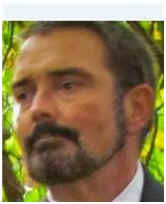 Joe passed in February 2013 from lung cancer. Angie would like to hear from anyone that remembers her dad and she can be reached at angbtch13@gmail.com. Our Sympathies go out to Angie and all of Joe's family, friends and shipmates. September 3, 2014 - Received notice of the passing of Robert "Wally" Cox. His sister, Ramona Hitchens sent us word of his passing. Wally served on the Key from 1974 - 1976 on the Gold Crew in the Weapons Div. Wally passed in November 2010. Rest in peace shipmate. Job well done. he served on the Key. If you have any details on Roderic, please send them in. July 2014 - New Key shipmates added in July 2014 - Ross, Steven P 86 - 90. Check Crew List for details. Hope you all had a great time. You made the reunion a great success. Thanks to all of you for attending the reunion. interested in purchasing some, send her an email nanmoore20@yahoo.com. The books can be purchased at Barnes & Noble & Amazon.com. All the other items were purchased from unlimiteddetails.com. Currently we are planning to hold the next reunion in Groton, CT. in conjunction with the USSVI Anniversary ( Wed. May 4th - Sun. May 8th, 2016 ). Have a great summer & don't forget to send your photos from the reunion to Russ to post on the website ssbn657@comcast.net. Jeff Dull took a lot of professional photos & you can purchase them from him jeff.dull@yahoo.com and you can view the pictures at SSBN657 Reunion. Below is the 2014 Reunion Crew. Enough talent there to crew any sub in today's navy... as long as they helped us down the ladders. June 4, 2014 - Just updated the reunion attendee list for the 2014 Reunion for the last time. Several new shipmates have decided to come. Only 1 week till the reunion. I am already enhancing some of my old sea stories. Hope to see you there. May 14, 2014 - Only one month to go for the key reunion in Frederick, MD. For those of you still sitting on the fence wondering if you should go or not, give it a shot. You will not be disappointed. I have been to 5 reunions and each one has been better than the last and every one of them has been a lot of fun. Where else can you be around so many people that know exactly what you are talking about when you discuss life on the F, S. Key. It does not matter if you don't know anyone there. We are all old shipmates and can't remember who we served with anyway. Relive your 20's again for one last time. See you at the reunion. Saturday June 14 reunion participants will be attending the following: Many of you may remember the brass plaque that was in berthing that said that the boat was named after Francis Scott Key. We have a surprise for you!! One of these plaques was found in San Diego and given to us a few years ago. I delivered to the head of the Key Association and cemetery caretaker and he had it refurbished. This plaque is now mounted on a stone pillar at his grave site in Mt Olivet Cemetery. On Saturday, June 14, we will be dedicating this plaque. The town found out about this and the dedication has turned into a major town event. The VFW, American Legion, the mayor and many other townsfolk's will be attending our dedication ceremony. They will also be laying wreaths at his (Key's) grave site. 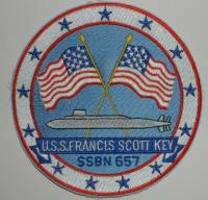 Following the dedication, we will go to the Francis Scott Key chapel behind the grave site and have a ceremony to toll the bell for all the Key shipmates, that we know of, who have gone on Eternal Patrol. USSVI members be sure to bring your vests to the reunion. April 2014 - New Key shipmates added in April 2014. Poole, Ron 75 - 76; Fillmore, Paul - 65 - 69; Imperato, Joe 81 - 82. Check Crew List for details. April 17, 2014 - Just added more name of those attending the 2014 Key Reunion in June. To see the list just click, Reunion Attendees. Come join the good times and reconnect with shipmates or meet some new ones. April 5, 2014 - Just received notice from Paul Fillmore of the passing of RADM Douglas Volgenau. Douglas was a plank owner on the Key and its first Engineering Officer. His obituary can be found in the Eternal Patrol area. We send along our deepest sympathies to his family and friends. Rest in peace shipmate. Job well done. March 2014 - New Key shipmates added in March 2014. Lindsey, Rick 72 - 74; Bullard, Randy 79 - 82. Check crew list for details. February 2014 - New Shipmates added in February 2014. Foltz, David 80 - 81; Stanfield, Donald - late 60's; Bass, Daniel L -late 70's?. Check crew list for details. My name is Laura Bass. My father, Daniel Lynn Bass, served on the USS Francis Scott Key I believe in the late 70s or early 80s as I was born in 1987. I have a couple of pictures of the crew around here somewhere that I'd like too send in. I'm hoping I can connect with someone who knew my father as he died when I was only 4. I know he was hard working and quite the jokester. He was a very funny jolly man with a kind heart. I don't know how your site works but any help would be greatly appreciated. Thank you very much! If any of you guys remember her dad, just drop me an e-mail at ssbn657@ comcast.net and I will give you her e-mail address. Daniel has been added to the Eternal Patrol area. Rest in peace shipmate. February 3, 2014 - Received notice of the passing of Donald Stanfield, MT2 Blue in the late 60's. Our sympathies go out to Don's family and shipmates. Rest your oar sailor. Job well done. January 2014 - New Shipmates added in January, 2014. Kosmus, William early 70's. Check Crew List for details. January 15, 2014 - Received an e-mail from Harry Baker notifying us of the passing of shipmate William Kosmus. We do not have any details of when William served aboard the Key. We do know he was a Machinist Mate. Anyone who remembers William please send in some info. His obituary can be read in Eternal Patrol. Rest in peace shipmate. Job well done.